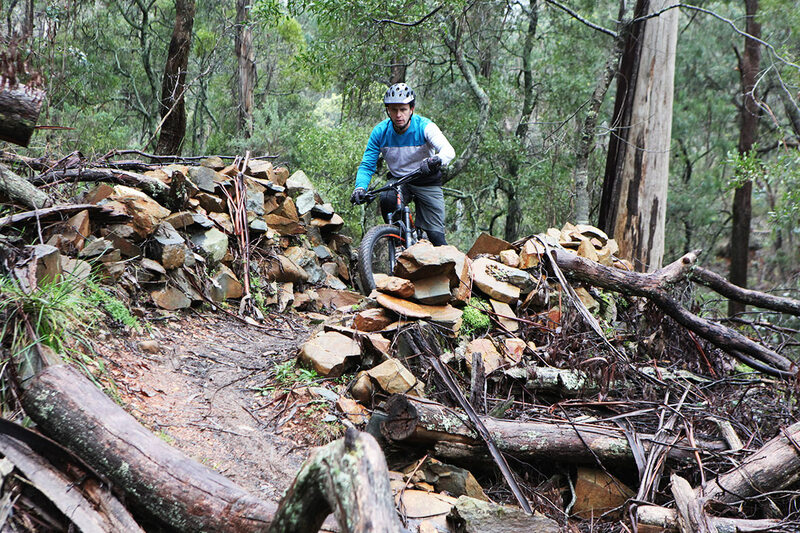 Yackandandah is the newest kid on the mountain biking block in North East Victoria. Mad, keen locals have been busily building in the Stanley State Forest.  Local riders have formed Yack Tracks Inc. with the vision of well mapped and managed long-form cross-country trails highlighting the gold mining heritage of the local area. The funky streetscape of old buildings, big verandahs, buzzing cafes and pubs will keep you happy and well refreshed after your ride. 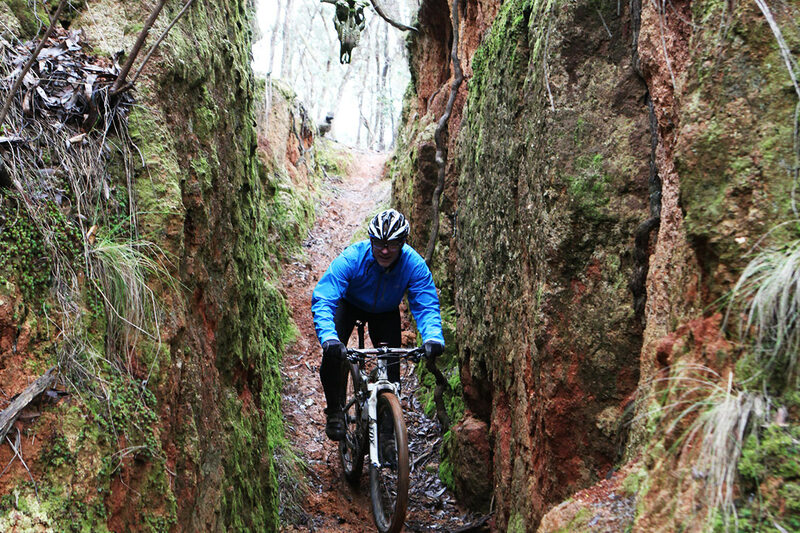 The trails range from easy to intermediate and are a 15 minute drive or half hour ride from Beechworth. For those of you who fancy your mountain biking skills Carcass Canyon is a must. It takes full advantage of the 160 year old gold mining remnants and leads you through a maze of shoots and sunken mining races, not to mention the tricky corners and drops. If you're looking for a workout, from the trailhead hit the Kokoda loop (purple) then head up and do Diggers (red). As we say in Yack, you need to put in the hard yards to be rewarded with the sweet flowy descents; there are no shuttles around here! 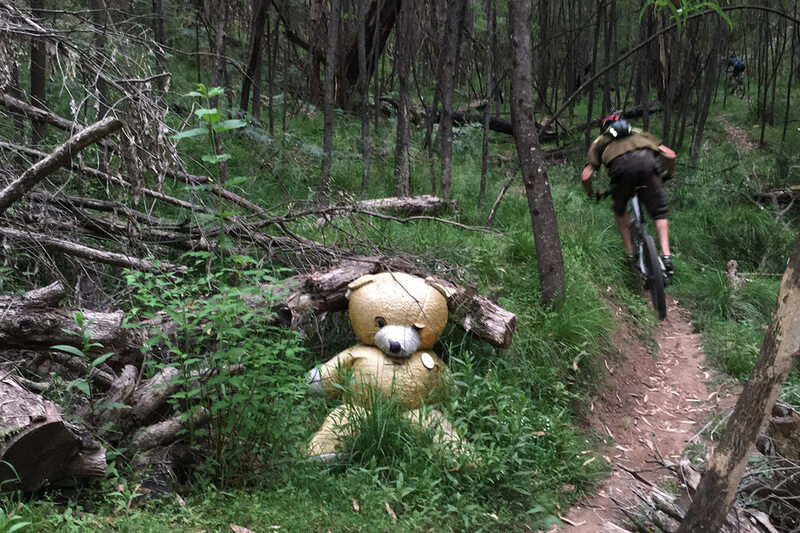 Before you negotiate the Kokoda climb look out for the Big Bear, being careful that he doesn't take you by surprise. 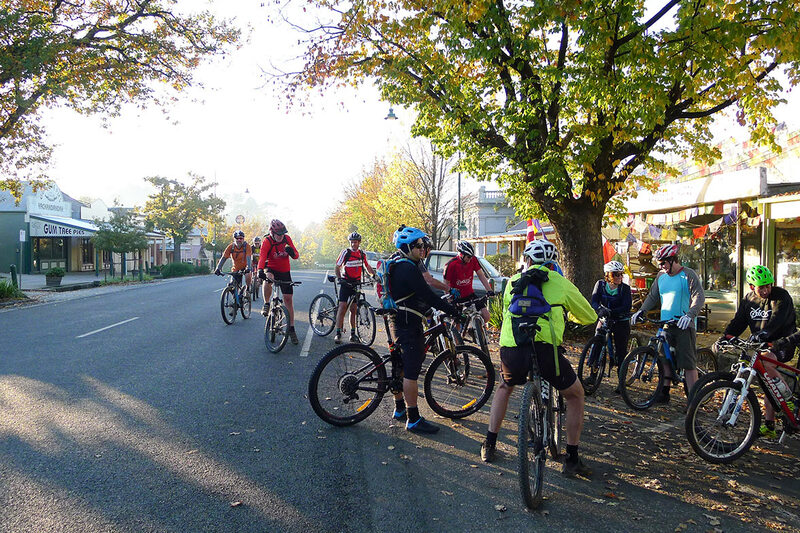 The YOBBOS (Yackandandah Old Blokes Biking on Sundays) have regular rides from the Memorial Gardens in Yackandandah on Tues and Thurs nights at 7pm and Sunday at 8am. Despite their name they consist of an eclectic group of MTB enthusiasts who are always up for showing a like-minded tourist around. A more casual slower group leaves at the same time on Sundays. The Ground Effect (yellow) loop combines the use of 160 year old mining races and flowing single track perfectly, just don’t look down at the creek below while your pedalling because it’s a long drop. This loop winds its way along the race through mining tailings then climbs up to the crest before you’re treated to yet more flowing down hill riding. 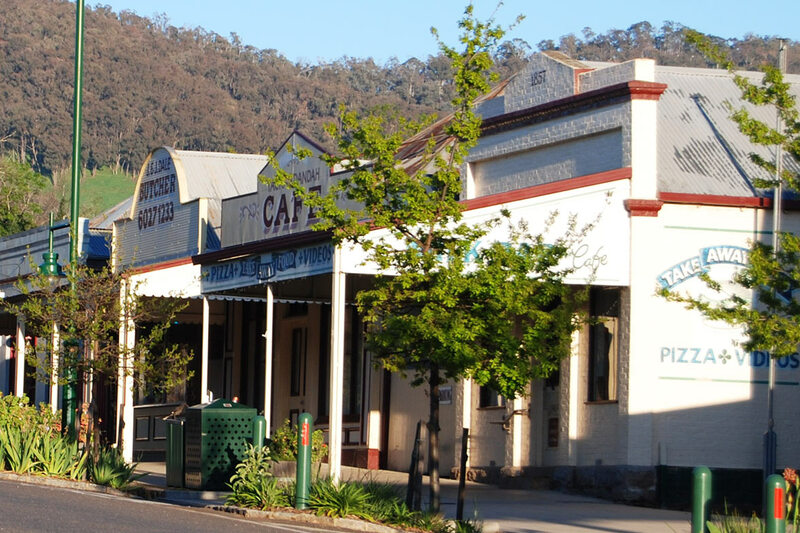 On your way home be sure to sample the range of coffee shops, pubs and eateries in Yackandandah. For a small town Yack is spoilt by choice when it comes to biking, eating & drinking. Gum Tree Pies is a must for the hungry mountain biker, offering up gourmet pies, cakes and of course caffeine to keep you alert for the trip home. If you’re after something a bit stiffer pop into the Star Hotel.